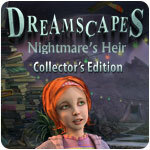 Dreamscapes: Nightmare's Heir Collector's Edition Game - Download and Play Free Version! Laura doesn't suffer from the nightmares anymore. But, despite the fact that it has been 2 years since she came out of the coma, she is haunted by the Sandman's promise of revenge. Laura and Tim decide to go skiing to take her mind off things. There, on the edge of the world, misfortune befalls her. In a fit of lunacy, Tim leaves their cabin and falls off a cliff. He did not die, but is in a coma. Is the Sandman to blame? Laura has the power to wake her husband, however has made a commitment not to use her power to her own benefit. Now she has 2 choices: watch as her beloved slowly dies in the hospital, or seek the help of an old friend who once helped her. Laura decides to meet the old friend, stops time to pass by the doctors unnoticed and infiltrate Tim's ward. 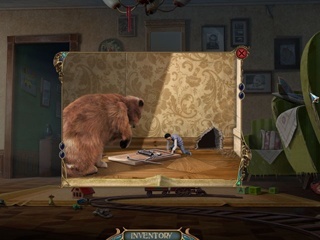 She then helps The Player enter the subconscious of Tim, whose body is almost seized by the Sandman. The Sandman is utilizing his old scheme: creating nightmares to suppress the will of the victim to resist. 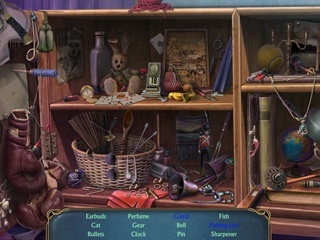 Will The Player have time to wake Tim before the Sandman turns him into his heir?